I think I've known from day one of this challenge that I was going to pick 1 of 2 movies for today's theme - Wall-E or Up. These are probably obvious choices for this part of the challenge, but they are 2 of my favorite movies and I couldn't resist recreating one of them. Fair warning, this is a long and rambling post! I ended up settling on Wall-E for a few reasons. The first is probably weird, but it stems from the fact that Wall-E has been interpreted into nail art far less than Up has. I wanted to be able to put my own spin on them without too much outside influence...if that makes sense? The other reason was that robots felt much less daunting to paint than cartoon humans - I thought I'd have a better chance at staying true to the look of the characters with Wall-E. Regardless, I just love Wall-E and think it's such a great film and am so happy with how they turned out! Today is a bit of milestone for me - this is my 200th blog post! And I am so incredibly happy that today's mani turned out even better than I was hoping for! Today's theme was "Inspired by a Song"...which can be taken a few ways I'm sure, but I decided to be inspired by a specific lyric. One of my all time favorite artists is Florence + the Machine. I'm obsessed. Total fan girl. If any of you ever have tickets to see her, I will trade you my polish collection for them. I was listening to the song Shake It Out and when she got to the lyric "It's always darkest before the dawn" I had a sudden burst of inspiration and knew exactly what I wanted to do...so, without further ado, here they are! Happy first day Fall!!! I am so excited for the weather to start changing, for the rains to come, for the smells of great cooking, for bundling up in warm clothes, for snuggling by the fire with a book and for the family oriented holidays - not to mention my birthday and anniversary are all during the Autumn months! Everything about fall makes me happy. So, to celebrate, I thought I'd do a mani to help me get some of the excitement that I'm feeling over this time of year out of my system. Doing a google search for "fall" made me really jealous of people that get to experience the very drastic changing seasons where all the trees turn bright shades of red, orange and yellow. Additionally, apparently everyone lives next to an awesome foot bridge surround by these beautiful colors because every other image had a bridge or an old wooden fence in the image ;) I decided to be inspired by one such image and created my very own picturesque foot bridge amidst the changing fall trees. I apologize that the pictures are all so similar...I just wanted to try and match the bridge up! 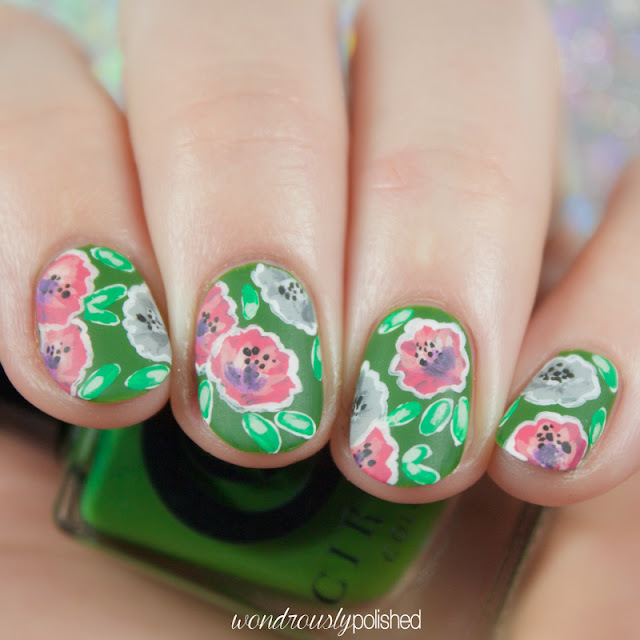 I've got another review to share with you all - these are some super easy to use water decals from The Born Pretty Store and I was pleasantly surprised by them! I've got another Born Pretty Store product to share with you all - this time it's a bunch of 3D stickers! To be completely honest, when I opened up my package from Born Pretty, I was shocked these were in there! They are completely outside of my normal style and I was surprised with myself that I had chosen to review these. Because of that, I was a little bit intimidated by how to use these. We're about to go infomercial up in here, so hang on tight! "Want that trendy chevron nail art look, but frustrated you can never get the clean lines you see all the pros wearing? Don't have the patience to hand cut each individual piece of tape to create a fabulous striped mani? Cute heart cutout accent nails still eluding you? If you said yes to any of the above questions then we have got a product for you! Sticky Nails makes it easy to achieve all those elusive and beautiful nail art looks you've been striving for!" Yes, I really do think this product is a solution to those problems. I LOVE these. Essentially, Sticky Nails are pre-cut tape stencils that allow you to create any number of manicures that would normally require you to painstakingly hand cut pieces of tape to create them. It's a great idea that frankly I'm surprised I haven't seen around more often. I really think that this product will reduce/eliminate frustrations that go along with using tape in manicures and will drastically reduce the amount of time per mani. Tonight I've got the latest in the 31 Day Nail Art Challenge - Inspired by a Color! A little over a month ago I bought the entire OPI Euro Centrale collection and immediately fell madly in love with My Paprika is Hotter Than Yours. This polish has made an appearance in quite a few of my manis over the past month and it is definitely one of my favorites to incorporate into my nail art. It only seemed fitting that I use this polish as my inspiration for tonight. Hi all! Sorry I've been a bit MIA the past few days - I had a crazy work week and spent the day recovering from my lack of sleep throughout the week. Today I'm really excited to share the galaxy nails that I put together for the latest 31 Day Nail Art Challenge! Fair warning, this is a long post! ;) Stick around though, I'll love you forever for it! Today's challenge theme was Half Moons - a look I haven't tried before but has been on my list. I contemplated a few different designs for tonight and considered adding some stripes or patterns inside the half moon, but in the end, I did a really simple mani. 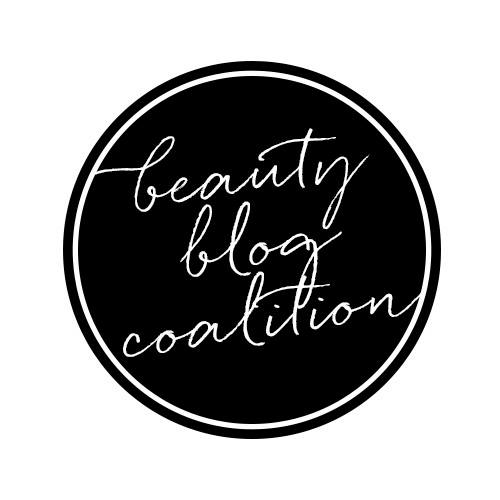 I am so excited to announce that I am hosting my very first giveaway!! I was contacted by Gabrielle of GG Couture Nail Lacquers back in August about collaborating with her to create a custom limited edition polish to be sold in her shop through the month of September. I of course immediately said yes and was so so so excited about it! Meet Summer's End, a pastel neon yellow with orange hex and squares glitter and maroon circles - it also glows under black light! Since September is a month of both summer and fall (Fall begins September 22! Can not wait! ), I wanted to work with Gabrielle to create something that spoke to the fleeting brightness of summer as well as give a nod to the coming fall colors...and this is what we came up with! Hope everyone had a great week and that you're as happy it's the weekend as I am ;) I feel like whenever I have a short work week, I'm even busier than normal trying to cram as much as possible into my day. I'm tired! I really had no clue what to do for tonight's look. Should I go with a classic glitter gradient (something I've done before) or stray a bit and try something more complex? In the end, I knew I wouldn't be satisfied if I went with a design I've already done. I'm going to keep this post short because I'm so exhausted, but I wanted to note that the inspiration for tonight's glitter mani came from one of the nails Meghan did for her tribal print mani on Tuesday (found here!). I absolutely loved the design that she did on her ring finger and knew I had to recreate it...I just didn't realize it would be so soon that I recreated it! Yay! We're officially past the half way point with the 31 Day Challenge! I am so proud of us! I didn't actually know what today's theme was until about 5 hours ago, but I was so excited to see that it was tribal print. I really like the details that must go into a tribal print and I find it really relaxing to do these (I may be the only one in the world that feels that way haha). My ring finger nail broke today so I'm down to ultra shorties so bear with me! There are so many different types of tribal print out there but I decided to go with a print central to my area of the world - Navajo print. The Navajo tribe are from the Southwest of the United States and are the largest native american tribe still in the US and I just love the colors and patterns from their pottery and weaving. I tried to stick to colors that were more likely to actually be used in Navajo artwork instead of the bright and crazy tribal print I've been seeing a lot of (though I do love those so much as well!). As promised, here is the second half of the China Glaze Autumn Nights Collection! This is definitely my favorite of the two halves - it has the only 2 cremes of the entire collection so I really can't say no to those ;) Let's dig in! The name sake for this side of the collection, Gossip Over Gimlets is a platinum foil with bits of tiny gold flecks. The gold is very subtle but once you notice it, you'll love this polish even more. The formula is a bit on the watery side, but it's still opaque in 2 coats. Strike Up A Cosmo is my definite favorite from this side. It is a pink foil loaded with gold flecks. It's really quite stunning. The formula is great and shown is 2 coats. Hope everyone is having a fabulous Labor Day! Today's Mani Monday collab with the Lulu*s blog is a super simple striped look. All you'll need is some masking/striping tape and some patience ;) A quick trick I forgot to mention in my tutorial: if you stick some masking tape to a cutting board, use a razor blade and a ruler or straight edge to get even strips of tape every time. I used to struggle so much with getting even widths with my masking tape when I used scissors and this trick has drastically reduced my striping tape mani times. Be sure to check out my full tutorial here! What do you think of these? Doing anything nice today?